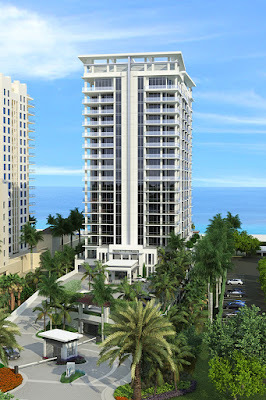 Florida Real Estate: The Ultra Luxurious New Vista Blue Condo on Singer Island! The Ultra Luxurious New Vista Blue Condo on Singer Island! Open your spacious and sun-filled condominium home on the sun drenched shores of Singer Island to refreshing tropical trade winds. Overlook the Atlantic Ocean’s aquamarine waves and a wide, white sand beach that stretches from John D. MacArthur Beach State Park and Ocean Reef Park to the north, and to the Palm Beach Inlet toward the south. For ultimate in buyer ease, residences are delivered “move-in ready” with a luxurious custom selection of imported porcelain tile in living areas, kitchen and baths, and designer carpets in all bedrooms, in addition to discerning appointments throughout.Private elevators open directly into your sun-drenched “home-in-the-sky.” Covered terraces generous both in width and depth extend living areas outdoors. Delight in refreshing tropical trade winds as you watch aquamarine waves lap against the expansive beaches stretching from John D. MacArthur Beach State Park to the Palm Beach Inlet. Terraces, enhanced with clear, tempered glass, are delivered with large non-skid porcelain tile. Ten foot ceilings and floor to ceiling, sliding glass doors further accentuate your exceptional views, marrying the spacious indoor and outdoor living areas. The Miele suite of kitchen appliances is designed for the most discerning chef. Enjoy knowing that your refrigerator/freezer unit, microwave and convection oven, cook top, built-in coffee/cappuccino maker and dishwasher are of the highest quality and design. Poggenpohl custom kitchen cabinetry, available in a choice of finishes with matching panels for refrigerator and dishwasher, sets the backdrop for unforgettable entertaining. Forty-two inch upper cabinets with abundant storage and a generously sized kitchen island covered in Silestone quartz will never leave you wanting more space. Under-cabinet LED lighting adds to this clean, bright and modern look. A SubZero icemaker accentuates your dream kitchen.